when he spotted this ’55 Nash on eBay, he hit the “buy it now” button. 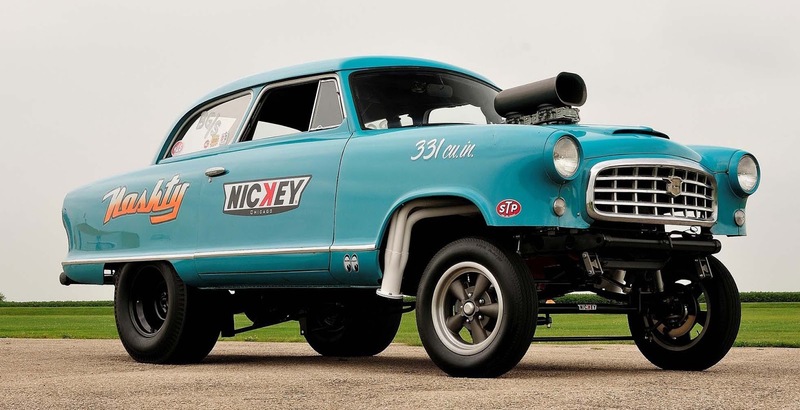 The car was soon delivered to the Nickey gasser shop, where he and Randy Schmitt build all the straight-axle cars for Nickey. The Nash sat for months, inspiring much discussion and many concerns about whether it was even practical to make a unibody Nash into a real gasser. Tinberg issued the challenge to Schmitt, and after some head scratching and a few dozen sketches on the garage floor, the plan came together.